How much you know about China? Chinese Customs seemed changing now. To establish relationship with China is no longer easier than before, like 10 - 20 years ago. China today is moving fast and changing faster than ever that even its own people could not catch up. The People The People's Republic of China is the world's most populous nation. About 20 percent of the population lives in urban areas. A little over 90 percent are Han Chinese; the remaining percentage, or around 70 million people, includes 55 national minorities who differ fundamentally in their customs, traditions, languages, and culture from the Han Chinese. The minorities have been exempted from China's strict population controls. Culture & Customs Although Chinese politeness has always been a formal one that follows strict rules, in some situations Chinese people can seem quite impolite by Western norms. Nevertheless, travelers are advised to remain polite towards their Chinese counterparts, and to refrain from shouting or being insulting. Stay calm in all situations but indicate your problem or inquiry politely and firmly. Politeness is definitely a foreign word when it comes to public transport. Whether on the underground or the bus, the overcrowded conditions always encourage a struggle. No priority is given to pedestrians on the roads; be careful when crossing - and remember you have no right-of-way. For Chinese, it is bad to lose face, especially in front of a foreigner. Don't put a Chinese in a position where they might do so. Any criticism should be done discreetly and tactfully. It is usually not the custom in China to greet people with a handshake, though it is commonly used with foreigners. Moreover, embracing or kissing when greeting or saying good-bye is highly unusual. Generally, Chinese do not show their emotions and feelings in public. Consequently, it is better not to behave in too carefree a manner in public. It is also advisable to be cautious if you get involved in political discussions. It is very important for the Chinese to make and keep good connections (Guanxi); someone who has no connections is only half Chinese, and it is equally important to foreigners on business. One should expect lots of invitations and gifts. Qing Ke, the wining and dining of guests, is an old Chinese tradition and is still used today to thank friends for a favour or to make new business contacts. If invited, you are obliged to return the invitation. It is considered quite normal in China to eat noisily and belch during a meal. This doesn't mean that a foreign guest must do likewise. An increasing number of Chinese, particularly in the big cities, don't find it very pleasant either. In many simple restaurants, bones and other remnants are thrown on the table or the floor. It is also quite common for people to spit, despite official campaigns to try and restrain this habit. It is important for foreign visitors to know that these things are customary and not at all bad manners. Entry Regulations - Visas & Passports All foreigners need an entry visa. If you are part of a group, the tour operator will often obtain it; group visas will usually be issued for groups of at least 10, and the guide accompanying your group will keep the visas. Individual travellers can apply at any Chinese embassy. The procedure is straightforward, taking about a week, although the duration depends on current regulations, and upon your own country's regulations for visiting Chinese citizens. Typical is a 30-day single-entry visa. The passport must be valid for six months after expiration of the entry visa. Traditionally, it has been quicker and easier to obtain or renew visas (including long-term, multiple-entry visas) in Hong Kong than anywhere else, and this hasn't changed much since the handover. If your visa expires while you are in China, it can be extended by the local Public Security Bureau (Gongan Ju), the ubiquitous police. However, make sure you visit them before it expires, because fines for overstaying can be steep, negotiations long and frustrating and, depending where you are, it may take some time to get the stamp you seek. There was a time when many areas were off limits to foreigners, or else special travel permits, exceedingly difficult to obtain, were required. Nowadays, most of the country is open to foreigners, except some delicate border areas. Customs On arrival, each traveller must complete a form declaring foreign currency and valuables such as cameras, antiques and jewellery. The declaration must be handed in on departure; if required, the listed objects must be shown to verify that they haven't been sold within China. Tourists can freely import two bottles of alcoholic beverages and 600 cigarettes, as well as foreign currency and valuables for personal use without restrictions. The import of weapons, ammunition, drugs, and pornographic literature (broadly interpreted, this would probably include The Bible and pictures of the Dalai Lama) is prohibited. Health The most frequently reported health problem in eastern Asia is traveller's diarrhoea. The best prevention is to ensure maximum hygiene while travellling, especially in restaurants and roadside snack bars. Never eat raw, uncooked, or partially-cooked food, including salads other than in the top hotels. Animal or human exerement is still frequently used as fertiliser, so that bacteria on uncooked vegetables can easily be ingested. Also suggested if travelling outside of a tour group: acquire chopsticks and a tin bowl with lid for train journeys and meals in small roadside restaurants. Drink only boiled or bottled water, even though the tap water is drinkable i some places, and reduce exposure to insects as far as possible. The adjustment to a different climate and different food frequently leads to colds or digestive problems that, although rarely serious, can nevertheless impede one's enjoyment. Tibet, the northwest, and the tropical province of Yunnan make particularly high demands on the body. Heart disease and high blood pressure can lead to serious problems in Tibet because of high altitude. Temperatures are high and conditions dry along the Silk Road. If planning to visit areas outside of Beijing, Shanghai, Guangzhou, and Hong Kong, consider carrying emergency evacuation insurance. If injured in the deserts of western China, for example, medical and transportation costs could leave you in serious debt. Two of the largest emergency evacuation companies are SOS Assistance and Asia Emergency Assistance. They have offices in many major cities worldwide. Dressing formally is extremely important, special your first meet with Chinese, regardless you are at an official event or a private party. 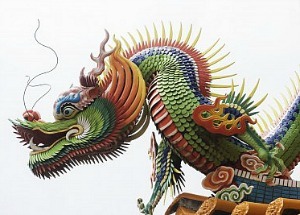 In Chinese Customs, well dressing and looks formal will be treated as a serious business person. Their first sense on you is half success of your business. Electricity Electricity in China is 220 volts, 50 cycles AC. Don't forget to take an international adapter, to accommodate different style plugs. If traveling away from tourist centers, it is worth taking battery-operated equipment. Public Holidays Traditional festivals, such as the Spring Festival(Lunar New Year), follow the lunar calendar and thus dates vary annually, important official holidays follow the Gregorian calendar. This calendar does not apply to Hong Kong or Macau. Most shop are open on holidays. School holidays in China are between 1 August and 30 September. This also applies to universities. Don't plan on travel or border crossings during holidays unless reservations have been made and confirmed a long time in advance. It is especially wise not to make any travel plans during the Spring Festival, which is three days long and is the period when everyone is travelling to their hometowns.